The mother of a missing, presumed dead toddler, Ayla Reynolds, has been given an extension to find the little girl’s father. Cm reports that a Cumberland County Superior Court justice in Maine gave Trista Reynolds an extra 60 days to locate Justin DiPietro, the father of Ayla. Reynolds filed a wrongful death lawsuit against DiPietro last year, but so far hasn’t had luck finding him. She hired private investigators in Maine and in Los Angeles, where DiPietro’s last known address is, but his whereabouts remain unknown. “The court has issued an order whereby we have 60 days to complete publication in the Waterville Sentinel and to have a process server leave a copy of the complaint at Justin DiPietro’s last known address in Los Angeles, California — Winnetka, California,” Reynolds’ lawyer, William Childs, said on Tuesday. As CrimeOnline previously reported, the lawsuit accuses DiPietro of killing Ayla and disposing of her body. Ayla disappeared in December 2011, while in the care of DiPietro, who was staying with his mother in Waterville, Maine. DiPietro called 911 on December 17, 2011, and reported the baby missing, claiming he put her to bed but when he checked on her the following morning she was gone. Ayla has not been seen or heard from since. Prior to her disappearance, DiPietro was accused of physically abusing the child. According to ABC, Ayla was taken to the hospital in November 2011 with a spiral fracture to her arm, but it was ultimately treated as an accidental fall. The child remained in DiPietro’s care while Reynolds completed rehab. After her disappearance, authorities began what became the “biggest criminal investigation in the state’s history” while searching for Ayla, according to Boston.com. In 2012, investigators found “more blood than a small cut would produce” inside DiPietro’s home. 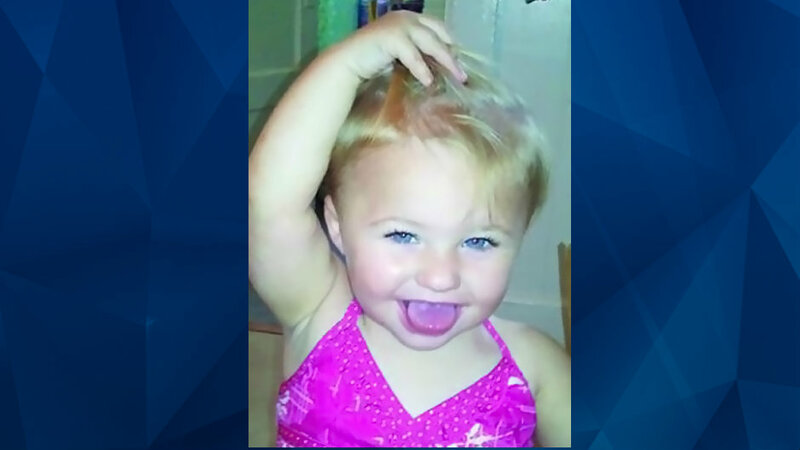 Yet, since the blood was discovered a month after Ayla disappeared, it “would have interfered with the investigation,” according to spokesperson for the Maine Department of Public Safety, Stephen McCausland. DiPietro has always maintained that he would never hurt his child and had nothing to do with his disappearance, but Reynolds doesn’t believe him. “Not a day goes by that I’m not haunted by what happened to Ayla,” Reynolds said after filing the lawsuit last year. Although Reynolds is seeking monetary damages from DiPietro, her attorney, William Childs, indicated that the lawsuit really isn’t about money, which DiPietro allegedly doesn’t have the means to provide regardless. It’s more about “trying to find out how Ayla was killed, why Ayla was killed, and where Ayla was killed,” the attorney said. Information such as sworn evidence from the people present in the home on the night Ayla disappeared could possibly help solve what happened to little girl. Reynolds hopes that the information and evidence brought forth in the civil trial will eventually lead to criminal charges in her daughter’s disappearance.